Coming home to a place that warms your heart and feeds your soul is something that we all look forward to. 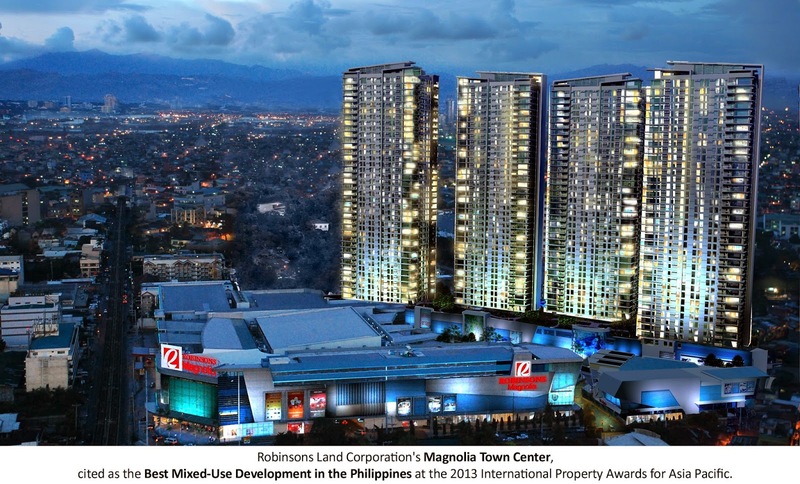 And residents of the Magnolia Residences surely know what it feels like with all the urban comforts that the project provides plus the enthralling experience that the adjacent Robinsons Magnolia Mall offers. When the mall opened to the public barely a couple of years ago, immediate interest on the lifestyle afforded by The Magnolia Residences grew. While Robinsons Residences affords world-class standards for living spaces, everybody was looking forward to fun and excitement that the unique city lifestyle offers. The main crown-drawer proved to be the satisfying variety of food picks that Robinsons Magnolia Mall gives. People take delight in the restaurants that are a virtual smorgasbord of food for daily nourishment and sustenance. From hearty home-cooked meals to gourmet creations, and healthy fare as well, the choices at Robinsons Magnolia mall would surely satisfy any craving or preference. “This experience is what we intend to share to the public, that is why we have prepared a tour to showcase the variety of food picks in the mall,“ adds Precilla. And there is no better way of staging this concept by partnering with two of the most knowledgeable food connoisseurs in the country who are the brains behind Mercato Centrale Group and Awesome Planet, RJ Ledesma and Anton Diaz respectively. The Magnolia Residences CITY FOOD PICKS was able to provide an insight of the best food choices that Robinsons Magnolia Mall has to offer through the help of Ledesma and Diaz. 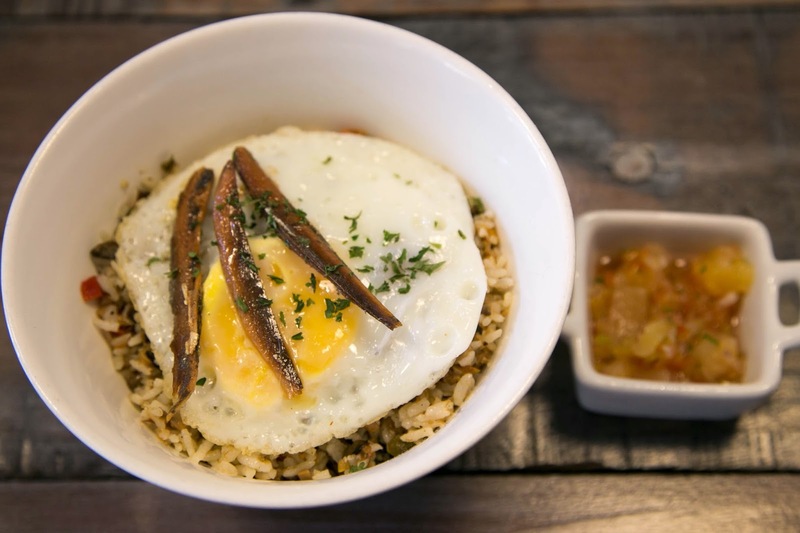 The chosen food establishments highlighted the most unique finds within Robinsons Magnolia and gave an insight on varied dining experiences that one can experience within the mall as well. From hearty home-cooked meals to gourmet creations, and healthy fare as well, the choices at Robinsons Magnolia mall would surely satisfy any craving. C’VERDE by BIG CHILL – C’Verde by Big Chill is an off-shoot from Cafeteria Verde, Manila's first vegetarian quick-service restaurant. Combined with Big Chill's blended beverages, C'Verde By Big Chill offers a wide range of healthy meat-free meal options. The uniqueness of C'verde by Big Chill lies in the fresh vegetable ingredients that are used to make its appetizers, rice meals, sandwiches, pizza, pasta, and other recipes. The CITY FOOD PICK for this station is Zucchini Sticks and Bean and Cheese Taquitos. Zucchini Sticks are herb crusted delicacies that are served with rich tomato sauce. Bean and Cheese Taquitos are beans and sharp cheddar cheese wrapped in flour tortilla, servided with homemade salsa or sour cream. ZIGLA! – Eating healthy and correctly is Zigla’s main motto. It offers 3 pre-set food categories: Rice, Pasta, and Classic, which all come in 300 calories or less. Zigla! also takes pride in preparing food freshly cooked just after you place your order. 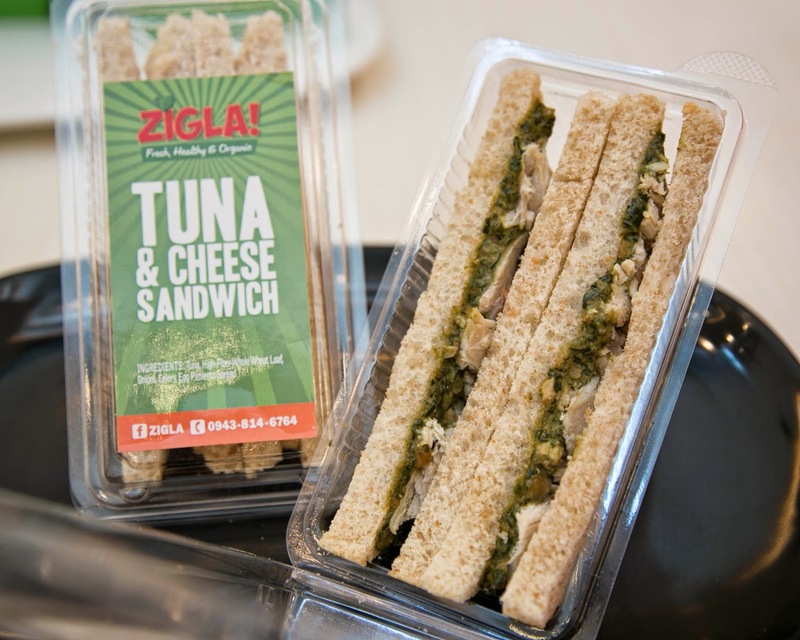 The Magnolia Residences’ CITY FOOD PICKS for Zigla is its Tuna and Cheese Sandwhich which is made of Tuna, high-fiber whole wheat loaf, onions, celery and egg pimiento spread. PAD THAI and more! – If you’re looking for authentic Thai dishes that are easy on the pocket, Pad Thai and more! offers just that. Serving up Thai noodles, salad, bagoong rice and a variety of other food options inspired from Thailand’s spicy and savoury dishes, Pad Thai gives you access to gourmet food that are ripe with with taste and flavor. It comes as a no-brainer that the CITY FOOD PICKS for this spot is the Pad Thai Chicken! HOUSE OF SILVANAS – From something that started out as a home-based business, House of Silvanas has indeed come a long way. After their first official outlet was established in 1995, they enjoyed such a huge following that, soon after, it had opened several branches across different malls around Metro Manila. The CITY FOOD PICKS for this dessert stop is of course the silvanas! 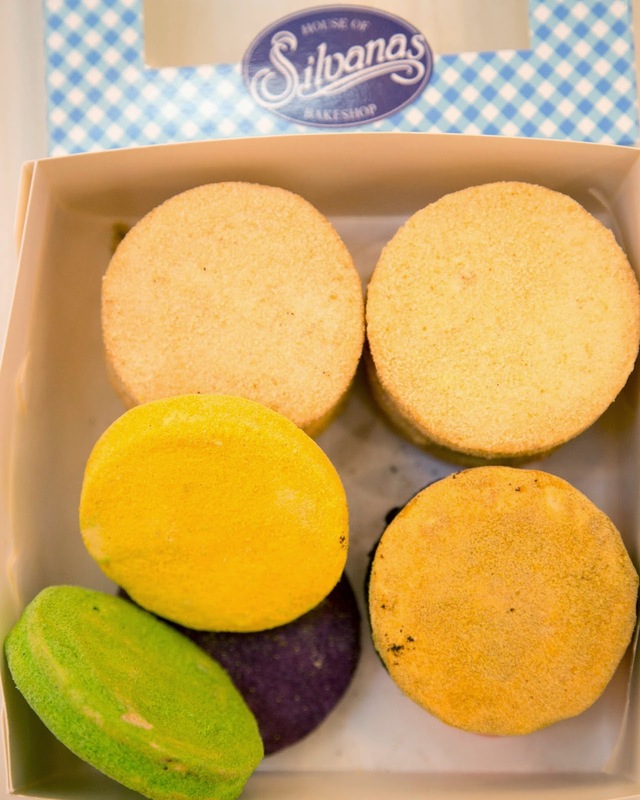 The rich buttercream in between two thin meringue wafers is dusted with cookie crumbs in a variety of flavours such as pandan, strawberry, mango and ube. PAD THAI and more! – If you’re looking for authentic Thai dishes that are easy on the pocket, Pad Thai and more! offers just that. Serving up Thai noodles, salad, bagoong rice and a variety of other food options inspired from Thailand’s spicy and savoury dishes, Pad Thai gives you access to gourmet food that are ripe with with taste and flavor. It comes as a no-brainer that the CITY FOOD PICKS for this spot is the Pad Thai Chicken! 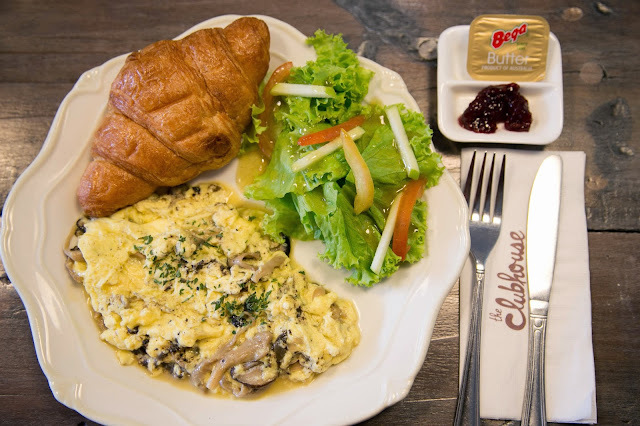 THE CLUBHOUSE - Since opening its doors at the new Robinsons Magnolia mall last December 2012, The Clubhouse has gained a loyal following for serving simple yet deliciously memorable food that spans various cuisines. The owners, all passionate foodies, collectively call their fare “modern comfort food.” Discreetly located at Robinsons Mall’s upper ground floor along an area between two top fashion brands, The Clubhouse has quirky chic interiors that will immediately catch your eye and give you a feeling close to home—making it a perfect spot for reunions, Sunday dinners or a lazy afternoon lounge. The CITY FOOD PICKS for this stop are Tuyo Rice Bowl, Vigan Longganisa Hash, Hungarian Sausage and Eggs, and the Truffle Mushroom Scramble. 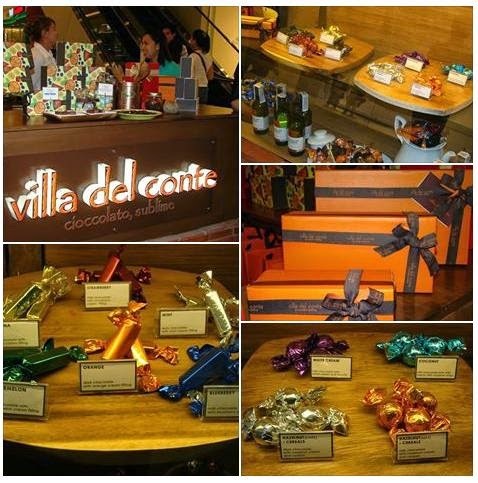 VILLA DEL CONTE – After an appetizing treat at the food court area, guests are now in for sweet serving of Villa Del Conte’s authentic Italian chocolates. This kiosk found at the upper ground floor offers artisanal chocolates that trace its roots back in Padova, Italy from Villa del Conte’s 81-year-old heritage of making fine chocolates. What makes this stop so memorable is that the assortment of chocolates served to every guest that is neatly contained in an enticing gift box. 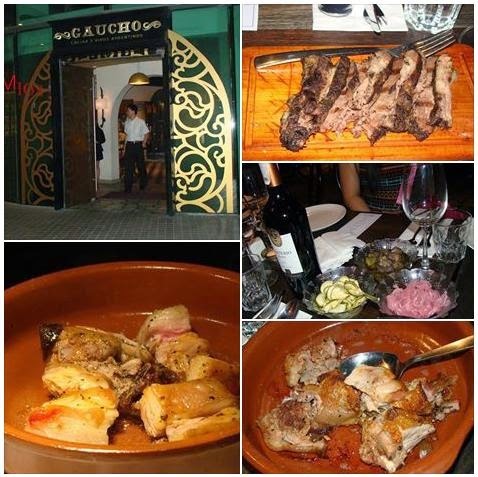 GAUCHO – In planning CITY FOOD PICKS, top of the list that has to be in the tour is Gaucho. This two-level Argentinean inspired restaurant serves up tempting meats and roasts that are truly mouth-watering. Gaucho offers organic pork, US beef and Australian lamb roasted using the Argentinean style of cooking called “a la Cruz” and served with the Argentina’s version of chimchurri—a sauce made of herbs, garlic and vinegar but without the spice usually found in other versions. For an authentic experience of Argentinean food, wine and tango, Gaucho is indeed the place to go to if you want to experience the best of this South American Country. The CITY FOOD PICKS for this stop are signature dishes “El Pozo de Fuego,” meaning “slow-roasted from the fire pit”; Falda a la Cruz which is a US beef shortplate; Cochino a la Cruz which is a native free-range Suckling Pig; and finally, Cordero Entero a la Cruz, which is Australian-raised young lamb. THE MAGNOLIA ICE CREAM FLAVOR HOUSE - The final stop of the tour would is the Magnolia Ice Cream Flavor house. 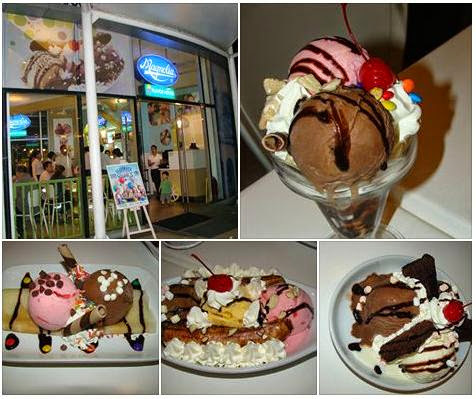 Located at the al fresco area of the mall, families frequently visit the area to spend time together with sumptious ice cream served in many varieties such as ube, chocolate, vanilla and more. I had the ice cream gratification that I was rooting for in this iconic place. Aside from ice cream, Magnolia Ice Cream Flavor House also serves various hot meals such as club house sandwiches, lasagnas and more. All the establishments featured during the tour are perfect convergence points for social gatherings—-from large, family occasions to the most intimate of romantic dates. 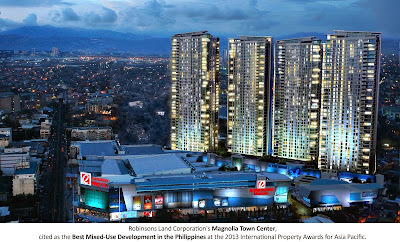 Living in the Robinsons Magnolia Residences gives unrivalled access to amenities. The priceless advantages of living in a development like The Magnolia Residences include access to a plethora of shopping malls on your doorstep plus a huge variety of restaurants, health and beauty services that makes life worry-free and pleasurable. At present, finishing works for the first two towers of The Magnolia Residences are ongoing. Tower B residents can expect turnover by June 2014 while Tower A residents can expect delivery as early as September 2015. Meanwhile, those who wish to be part the charming Magnolia Town Center neighborhood can still choose from the units available in The Magnolia Residences Tower C.